In a bold step designed to ensure that Great Britain is on the forefront of the next generation of technology, UK Prime Minister Gordon Brown has announced the creation of a £30 million pound government agency designed to study and advance the use of the Internet as a tool. 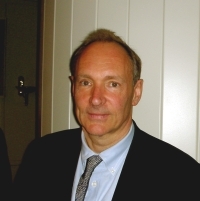 This organization, to be called the Institute of Web Science (IOWS), will be headed by the legendary Tim Berners-Lee. He’s one of the three people who helped create the modern Internet via his 1989 proposal of a World Wide Web. While the Internet is more important than ever, the timing of this announcement is questionable. A lot of folks, myself included, see it as something of a political gamble by Brown to try to cling to his office on the promise of the 250,000 jobs this new government arm will create. Others feel that the money would have been better used as grants to companies already working in the field of semantic web study. The main problem with the Internet isn’t that we don’t understand how to use it to make money; the damage done by recent global Internet slow-downs shows that. The issue is availability of Internet! Wasting a few million in cash won’t change that fundamental problem (unless you put it into infrastructure improvement).